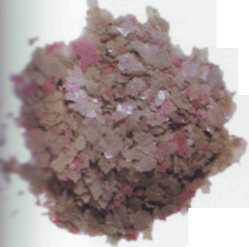 This is dry food which is commercially widely available in specialist aquarium stores. In the last twenty years the entire range has diversified considerably, and today there is a wide variety, adapted to the needs of different groups of fishes: for juvenile and adult fish, for freshwater and seawater fish, etc. 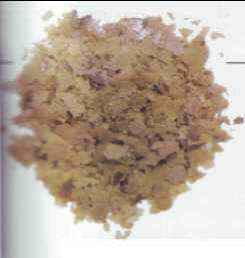 These foodstuffs are characterized by a high level of proteins (generally 40-50%) and come in different forms: in flakes (the most common), granulated, or compressed. The flakes float for a while before they sink, which makes them easier to grasp for surface and openwater fish. There are obviously also different sizes of foodstuffs, according to the size of the fish's mouth. This artificial food is fragile and deteriorates if it is not kept in the correct conditions. It must therefore be stored in a dry place protected from the light. Its composition is only guaranteed for a certain period, so it is advisable to buy a small box if you have only one aquarium and a few fish. 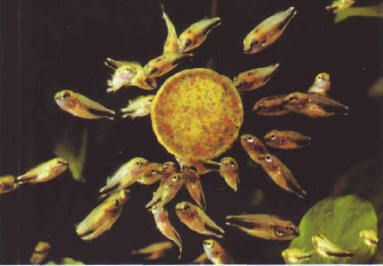 Some aquarists do not hesitate to give their residents trout food, which they buy at fish farms. This food is very rich in proteins and lipids, thus ensuring the rapid growth of trout bred for eating, but this is not vital in aquariums. 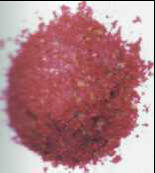 Although such food contains pigments intended to change the flesh color of salmon fish, aquarists who have used it have not reported any modifications in the external color of their fish. In any case, this food can prove very economical for large-scale breeding or garden ponds. Typical artificial food for adults. Marine fish sometimes refuse artificial food, either for a short period after their introduction to the aquarium, or on a permanent basis. One trick is to progressively incorporate increasing amounts of commercial food along with fresh food or live prey. This gradually accustoms the fish to its smell and taste until they finally accept it on its own. 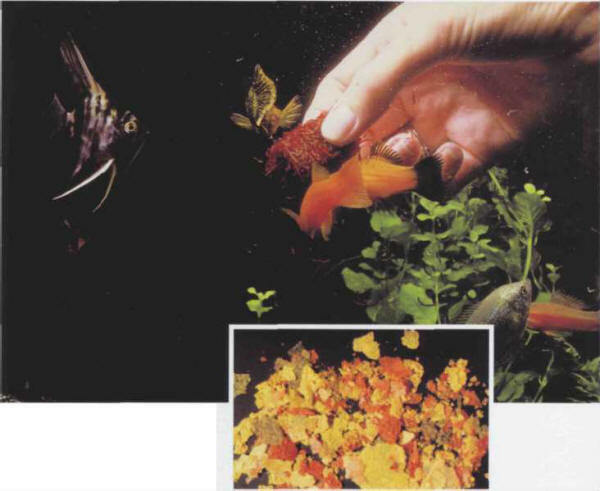 The artificial foodstuffs currently on the market are very effective for aquarium fish. In order to cover their needs as fully as possible, fish can also be served small, live prey, which are similarly available commercially and are an important source of vitamins and mineral salts. There are other possible options: white meat and mussels, for example. Artificial food in the form of tablets. НЕЙРАТ Отто (1882-1945) , австрийский философ и социолог, один из лидеров Венского кружка. Выдвинул идею "унифицированного языка науки", основанного на языках физики и математики.